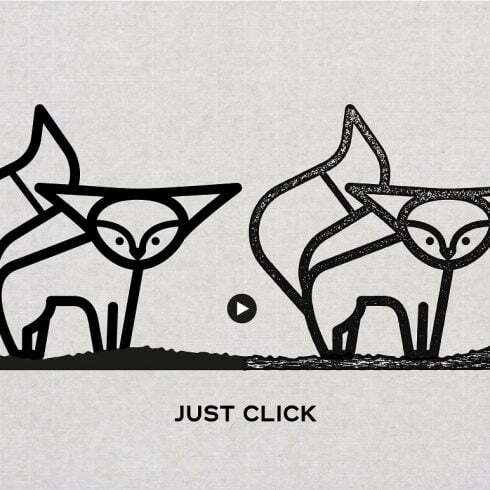 INSTAMP — simply apply to any vector object style black ink stamp! This is set of 20 stamp styles for instant using in Adobe Illustrator. It contains a variety of different styles imitating ink impress. Great for retro-style design (example: titles, packaging, posters, etc.). Styles work in Adobe Illustrator version higher CS. 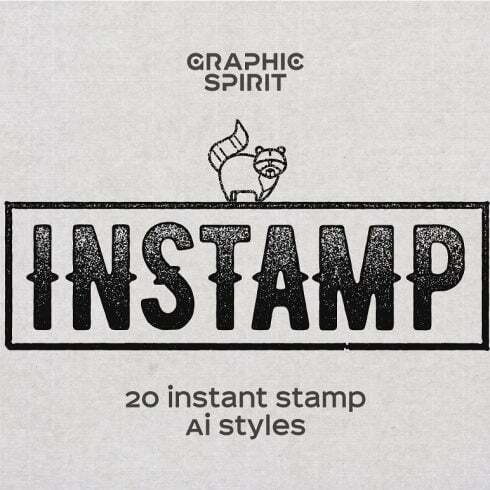 What the heck is a INSTAMP Instant Stamp AI Styles deal? Can a pro designer sketch any graphic from the begining? Generally, yes. Should he? It can be counterproductive, requires too much time. That’s the reason many of the web designers work with ready-made visual components – combine them, customize them and develop the design with them. It is actually silly to purchase those elements on an individual basis, that’s precisely why they are put into graphic deals and sold as a singular product. Any ways to make INSTAMP Instant Stamp AI Styles even cheaper? Would you like a 5% extra price reduction on any deal from MasterBundles.com? All you have to do is merely share the web page with a bundle on social media (Facebook). Once completed, the price reduction will be automatically included in your cart. So why are INSTAMP Instant Stamp AI Styles profitable? For any design job, you will require a lot of elements – a few images, a font, a few icons, etc .. If you would want to shop for every one of them one at a time it will cost you lots of money! And so, that’s the reason skilled graphic designers always look for some graphic packages to purchase. They allow receiving a huge bunch of various graphic elements for a very modest price. Since all the bundles differ from one to another, almost every graphic designer will discover the required collection for any specific venture. Browsing them you will find the collections including UI kits, illustration swatches, PPT templates, business cards, and much more. At MasterBundles.com marketplace, you will find in excess of 450 graphic package deals from which to choose. Except for graphic design packages, you’ll find a limitless variety of alternative deals on MasterBundles. The bundles of stock photos, logo templates, textures and icons are available for your use. On top of that, you may find packages of WP themes, training and e-books, cv templates, ppt slides, and various other elements. MasterBundles.com is a site that collects top rated design products from around the internet and lets you purchase the design components you need in your design work for a lower price. Packages this site carries are limited in time, and that is the reason why they are so low-priced. MasterBundles boasts a big blog with the helpful design features detailed.